ATADA, the largest US professional organization of art dealers specializing in Native American and international tribal art, has returned over 100 ceremonial artifacts to Southwestern Indian tribes. Today’s announcement celebrates the phenomenal success of ATADA’s Voluntary Returns Program, and the work of its founder, ATADA Board member Robert Gallegos, who has spearheaded the program since 2016. The ATADA Voluntary Returns Program is a community-based initiative designed to bring sacred and highly valued ceremonial objects in current use to Native American tribes. Returns take place through a consultative process; ATADA representatives work directly with tribal community and spiritual leaders. The program evolved through the recognition by art dealers and private collectors that certain objects, although legal to own, had great importance to tribal communities, and that their return could invigorate and enhance tribal community life. The Voluntary Returns Program has brought over 100 sacred and ceremonial objects from private collections and dealer inventory to Southwestern tribes at zero cost to the tribes. Another several dozen returns are proceeding. ATADA has facilitated the return of a Zuni war god, Acoma and Laguna flat and cylinder dolls, Hopi ‘friends’, Navajo Yei masks, numerous prayer sticks, bandoliers, rattles, arrowheads and other jish that are part of a medicine bundle. Items generally regarded as sacred include altars and altar elements, and items from shrines belonging to the community. Chairperson Robert Gallegos has made numerous trips to Hopi, Navajo, Zuni, and other tribal communities (sometimes a 5 hour drive each way) in order to return items in person, ensuring that each item is treated respectfully. ATADA sees the Voluntary Returns program as the right thing to do, and a necessary step for art dealers to take in order to build to positive relationships between the art trade and tribal communities. As a national organization, ATADA is ready to facilitate returns outside of the Southwest to tribal communities through a wide range of contacts across Indian America. 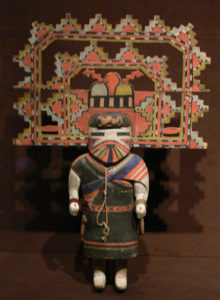 Kachina (tihu) depicting Palhik’ Mana (Water Drinking Girl); Hopi people, probably 1920s; 50.8 x 35.9 x 10.2 cm; Wood, paint, and wool yarn; Dallas Museum of Art, Dallas, Texas; given in memory of Congressman James M. Collins by his family; object number 1993.71. Wikimedia Commons. In complementary actions as a professional organization, ATADA has adopted bylaws forbidding its members to trade in items in current ceremonial use. ATADA has also established due diligence guidelines to protect buyers and sellers from trading in unlawfully acquired items that were sold or removed from tribal communities without the communities’ permission or knowledge. In addition, ATADA sponsors education programs to inform collectors and the public about current laws and developing policy on tribal art. The members of ATADA have undertaken not to acquire, display, or sell items known to be of important current sacred, communal use to Native American tribal communities. ATADA does not make determinations regarding the sacred or communal status of specific items of the various tribes. 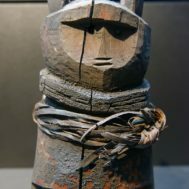 Historic photographs and publications may indicate ceremonial status, but similar objects may hold different status in different tribal organizations. When returns are facilitated through ATADA, the tribes are contacted directly for their advice and they decide whether a return is merited. The ATADA Voluntary Returns Program is not a private-sphere substitute for the repatriation of human remains and communally-owned objects under NAGPRA, a federal law. Under NAGPRA, museums and institutions that receive federal funding are required to create lists of human remains and certain broad categories of Native American objects in their inventories, and to provide these lists to the associated tribes, which can request their return. 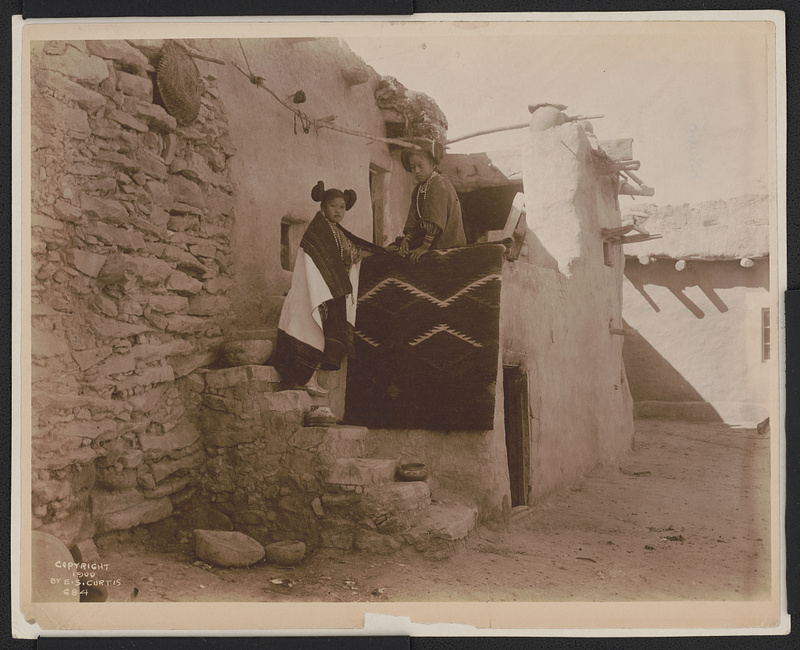 NAGPRA covers a wide variety of materials; from items of common use and items in trade, to items deemed sacred or inalienable cultural patrimony. However, NAGPRA participant institutions have interpreted NAGPRA criteria very differently and no fixed standard for identification has been established for ‘sacred’ or ‘inalienable’ objects through NAGPRA. 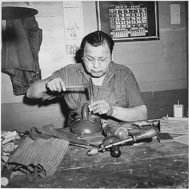 In comparison, the ATADA Returns Program brings objects that have circulated legally in trade, often for decades, back to tribes on a purely voluntary basis as donations to the tribal communities. The returned items are usually objects that are needed for present-day ritual activities. Unlike in museum and institutional collections, human remains are almost never found in private collections, and the Voluntary Returns Program does not handle them. ATADA has been working with the tribes in order to encourage tribal entities to provide receipts suitable for a tax deduction. ATADA believes that a format acceptable to both the U.S. Internal Revenue Service and the tribal entities could be developed, and would encourage many additional gifts to tribes. Contact ATADA’s Executive Director David Ezziddine director@atada.org. ATADA Symposium, Understanding Cultural Property: A Path to Healing Through Communication. 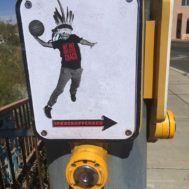 May 22, 2017, Santa Fe, NM.